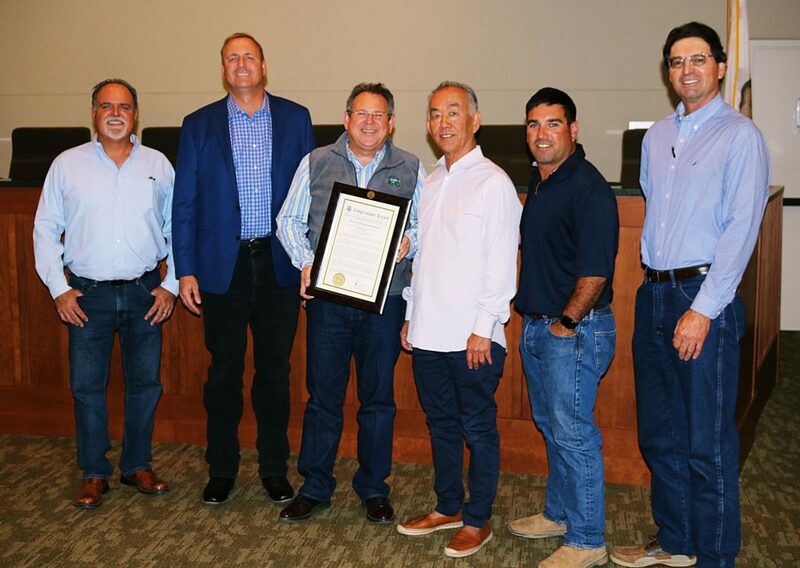 Byron, CA (May 30, 2018) – On Wednesday, Rep. Jeff Denham (R-Turlock) officially recognized the Byron-Bethany Irrigation District (BBID) for its commitment to protect the oldest water rights in California. Rep. Denham presented District leaders with a plaque commemorating a passage the Congressman read into the Congressional Record, the official historical record of the United States Congress. 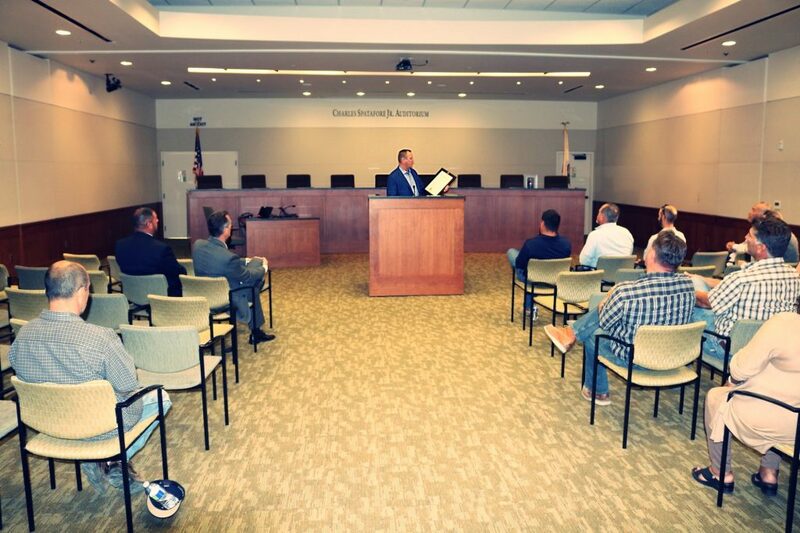 Rep. Jeff Denham (R-Turlock) presents the BBID Board of Directors with a plaque commemorating remarks read into the Congressional Record. In 2016, BBID prevailed before the State Water Resources Control Board (SWRCB), which sought enforcement against the District for allegedly diverting water when none was available under its priority of right, and alleging a potential $5 million fine. BBID’s legal team argued that careful analysis of the prosecution team’s evidence proved the SWRCB was ultimately incorrect. The SWRCB eventually dismissed the complaint, citing the prosecution team’s failure to prove its case. Rep. Denham was joined by BBID’s Board of Directors and District staff. Several of the District’s growers were in the audience, as well. From left, BBID Director Jeff Brown, Rep. Jeff Denham, BBID GM Rick Gilmore, BBID Board President Russell Kagehiro, and BBID Directors Larry Enos, Jr., and Chuck Tuso pose with the Congressional Record plaque. Mr. DENHAM: “Mr. 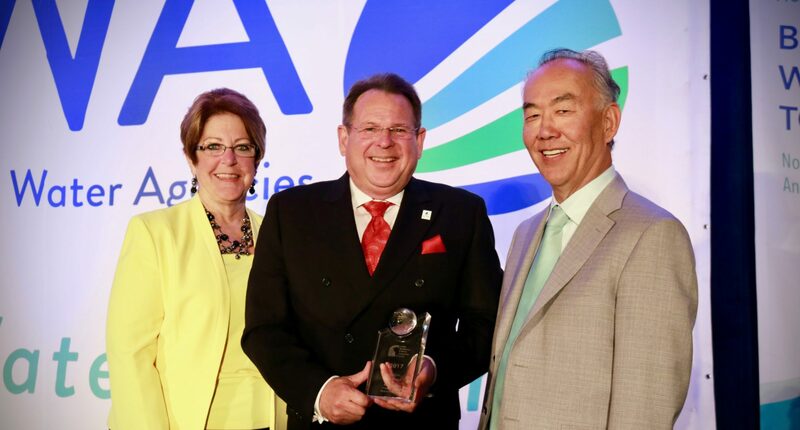 Speaker, I rise today to recognize and congratulate Byron-Bethany Irrigation District for being awarded the Association of California Water Agencies’ 2017 Excellence in Water Leaders Award. Byron-Bethany Irrigation District serves crucial farming communities in California’s Central Valley including the city of Tracy, which is located in my district. The water they distribute allows their customers to cultivate successful farmland that both promotes a successful economy and feeds the world. 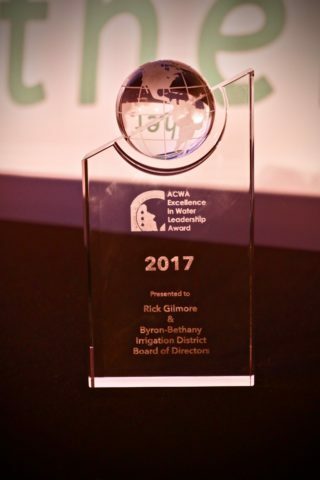 This award is in recognition of BBID’s bold actions in defending the water rights of the farming communities within their area of service. 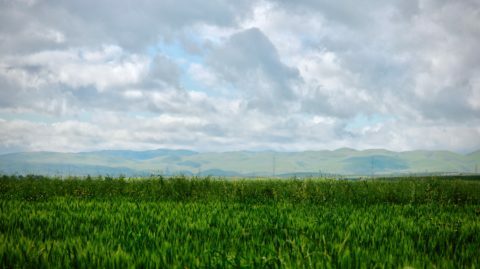 In the face of the California drought, the State Water Resources Control Board issued curtailment orders for the local community that would drastically affect the crucial farmland that BBID serves. The District General Manager, Rick Gilmore, and the district’s seven-member Board of Directors launched an effective legal effort to protect the water rights of local farming communities. They argued that the state’s analysis of available water was inaccurate. The state’s dismissal of the case against BBID in 2016 was a victory for small farming districts, and cemented the water rights that serve as a foundation for BBID’s community. In response to a bill that would impose the first-ever statewide tax on Californians’ water, the Association of California Water Agencies (ACWA) released the below video. Background: The bill, SB 623 by Sen. Bill Monning (D-Carmel), addresses the very serious problem of ensuring safe drinking water for disadvantaged communities. ACWA’s Board of Directors and members have made it a high priority to support bond funds and other drinking water funding to address this serious social and public health issue, but a new tax on water is not the right approach. ACWA is actively opposing this bill.